Eleven Spanish autonomous communities have asked Madrid to change its position on the current refugee crisis within the EU, accusing the government of not helping resolve the issue. The “autonomies” of Andalusia, Aragon, Asturias, Canary Islands, Balearic Islands, Cantabria, Castilla-La Mancha, Catalonia, Extremadura, Navarre and Valencia composed the letter on Wednesday, urging the central government to take action to alleviate the crisis. The regions urged the government to unlock all procedures necessary for the safe arrival of refugees and their distribution around Europe. Moreover, the autonomies confirmed their readiness to cooperate in facilitating the integration of refugees. They also asked the central government to launch financial help to migrants and urged Madrid to change administrative procedures to allow autonomies participate in the distribution of economic resources. Spain consists of 17 autonomous regions and two cities – Ceuta and Melilla – organized on the basis of regional or national identity. According to the EU statistical information agency Eurostat, over 1.2 million refugees applied for an asylum in the bloc in 2015, which is more than double the number of the previous year. Germany had the highest number of applicants, with 441,800, or 35 percent, followed by Hungary with 174,400, Sweden with 156,100. Meanwhile, Spanish left-wingers have been frustrated that almost none of the migrants that came to Europe last year chose Spain as their destination. In September 2015, Spanish Prime Minister Mariano Rajoy announced Spain would accept over 14,000 refugees. At the same time, Barcelona mayor agreed to take 2,749 migrants, but only 18 arrived in the whole of Spain. “…just 18 have arrived (in the whole of Spain), a ridiculous figure,” said Pascale Coissard, spokeswoman in the northeastern region of Catalonia for the country’s Commission for Refugee Aid in February. 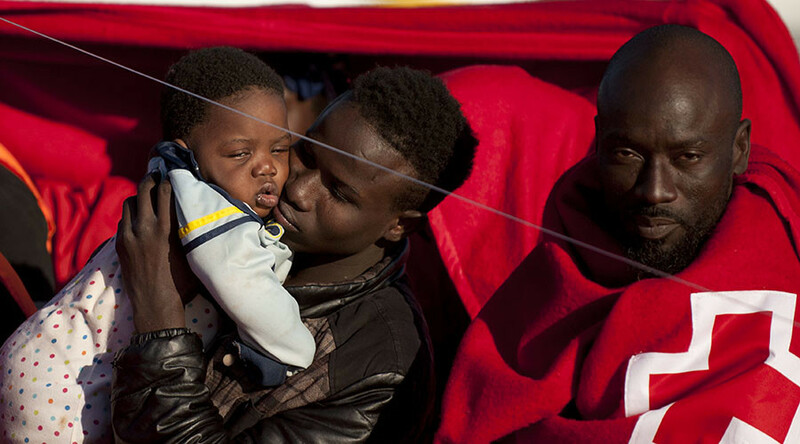 Swamped with refugees, Greece reached an agreement with Valencia’s authorities for the transfer of 1,000 migrants In February. On Monday EU and Turkey leaders gathered in Brussels and struck a “game-changing” deal on resolving the refugee crisis in Europe. EU leaders agreed in principle to an Ankara-proposed plan to deport illegal migrants from Greece to Turkey while resettling the same number of Syrian refugees in the EU. 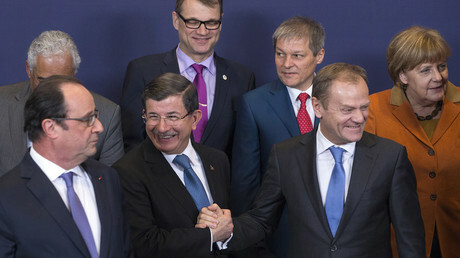 In return, EU leaders promised Ankara an additional €3 billion (US$3.3 billion).